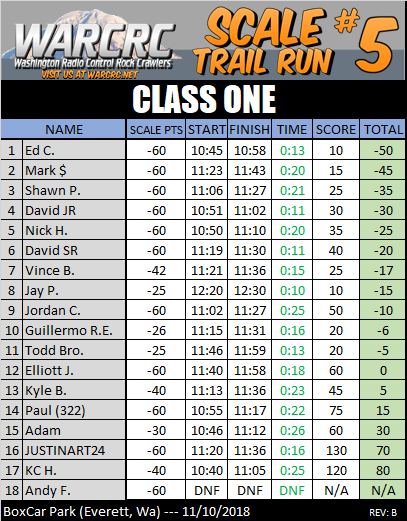 The results for "Scale Trail Run" # 5 are up. Thanks to all that helped out and to all that made it such a fun day. 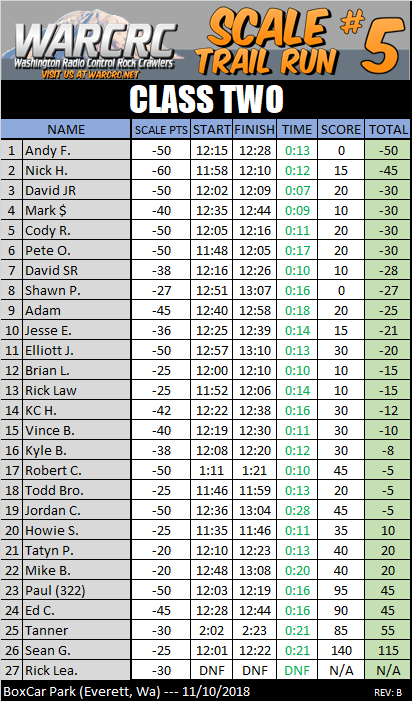 There were a total of 58 trucks that ran at the event and the total drive time of all the trucks that ran is just over 14hrs. 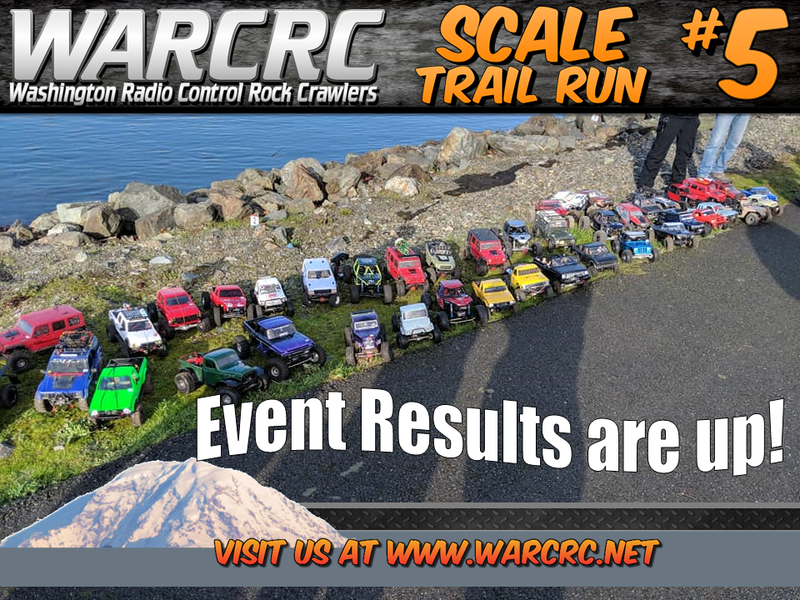 These "Scale Trail Run" events have 40 gates for each class and allows for lots of drive time. The only penitlies tracked are if you hit a gate(+10 PTS) or if you roll over(+5 PTS). Also, SORRCA scale points act as extra points off your score because the main goal is to end with the lowest score, kind of like golf. Time is only tracked to break ties, and we had a few this time again. Feel free to Pm us if you see any issues. 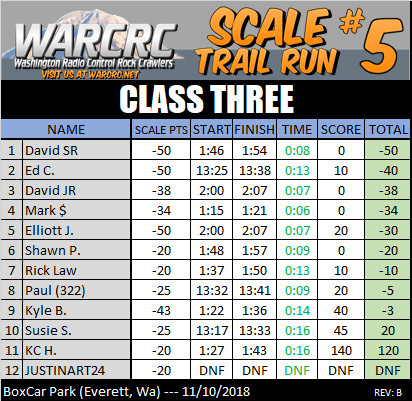 Thanks again and we hope to see you at the "Scale Trail Run" on Feb 2nd 2019 at Edge Water Park. Last edited by justinart24; 02-09-2019 at 02:18 PM.